Marina development plans are consistent with the vision of the development of maritime tourism and the yacht industry, promoted by the Government of Dubai and Dubai Tourism. The new investments aim to create from Dubai the world’s leading maritime center, which on the one hand will be attractive to foreign investors, and on the other will implement the best standards and practices. Currently, work is underway to create maritime-friendly solutions in the field of safety, navigation, efficient international visa service and increasing operational efficiency. Emaar, a developer known among others from such investments as the Dubai Mall (the largest shopping center in the world), Burj Khalifa (the world’s tallest building) or the Dubai Fountain, the construction of Creek Marina is just finished. The new luxury Dubai marina will be built in the heart of Creek Island, a residential and recreational district of the city, located just 10 minutes from Dubai International Airport and the iconic Burj Khalifa. The new marinas are located right next to the apartment complex Nakheel’s Azure Residence on the east trunk of the palm tree and on the newly formed wharf at the Pointe Nakheel Mall’s shopping and restaurant center. 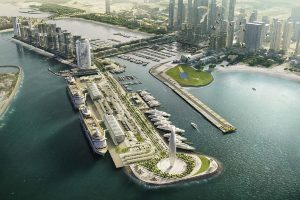 Nakheel is also building another six marinas, in its new flagship development project on the waterfront at Deira Islands. Planned marinas will accommodate a total of 614 boats and yachts with a length of up to 60 meters. The cost of this investment is AED 165 million. The most important projects of the Nakheel brand include Palma Jumeirah, artificial islands – The World, Deira Islands, Dubai Jumeirah district with investments: Jumeirah Village, Jumeirah Park, Jumeirah Heights, Ali Gardens, International City, Dragon City shopping centers, Ibn Battuta Mall and much more. 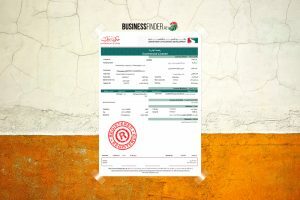 Nakheel’s investments occupy a total of over 15 thousand. ha and provide housing for over 270,000 people. During the construction there is another 25 thousand. apartments.